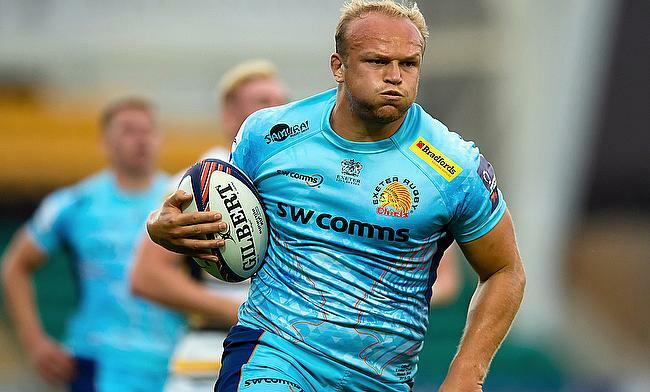 Back-row Tom Lawday will make a switch from Exeter Chiefs to Premiership rivals Harlequins at the end of the ongoing season. Graduated from the University of Exeter, the 25-year-old shone in University Rugby and was the top try-scorer in BUCS Super Rugby during the 2016/17 season. His debut for Exeter came during the Anglo-Welsh competition in November 2016 and has played seven games in the Premiership since then. “I have been really impressed with what has been going on at Harlequins this season and know it is a club with very strong ambitions," he told the official website of the club. Meanwhile, Harlequins head of rugby Paul Gustard said he was impressed with Lawday's potential and is confident of his ability. “Tom is a very impressive Number eight and we are excited that he has committed his future with us. “He is a strong, ball-carrying, tackle-breaking, all-action back row who I believe will continue to improve individually and help us improve collectively as a team. He is an impressive young man who is the archetypal modern-day back row forward. “I have watched him play a lot this season and, in every game, there have been signs of real quality and ability to be special and make a difference. "We really like what we have seen in terms of his on-field strengths and in meeting him we are very happy that he exhibits the kind of behaviours that we look for".